Lift the lid on The X-Files once more in this essential new collection celebrating the iconic TV show. In the first volume, journey inside the bureau and meet the agents fighting to expose the truth of a global conspiracy and the shadowy syndicate intent on concealing it at all costs. Featuring cast interviews, behind-the-scenes secrets from the writers and creators, plus a host of in-depth features, it’s time to rediscover the truth. I seriously doubt that, among this crowd, I’m the only one who spent any amount of time at all watching the X-Files. Back in 1993, Chris Carter created something that’s surpassed just about every expectation imaginable. He started with a premise conceived in classic episodes of the Twilight Zone, The Outer Limits, and his biggest inspiration Kolchak: The Night Stalker. All very stylized noir-ish thrillers in their own right, they instilled the kind of deeply involved storytelling that Carter was able to bring to his brainchild. 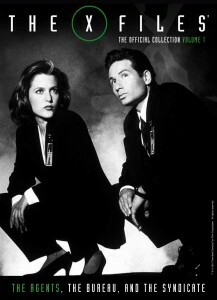 Enter Mulder and Scully, the often imitated but never duplicated FBI special agents in charge of investigating the mysterious and unexplained. 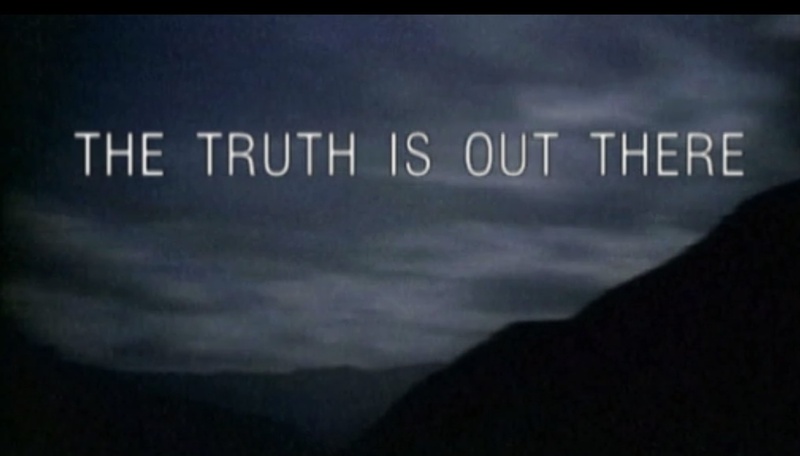 Everything from vampires to psychic phenomena, and of course UFO’s, if there was a case with no reasonable or logical resolution, it was declared an “X-File” and relegated to the dynamic duo, played by David Duchovny and Gillian Anderson. Continuing to shatter conventional belief of the time, Carter cast who he wanted, did the scripts the way he wanted, and knocked it out of ballpark when no one thought a sci fi show would be able to hang in there. 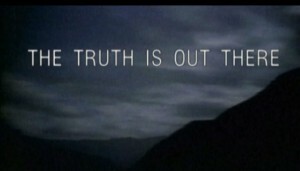 Here we are, just a few weeks away from a new X-Files mini-series, and the fans are just as rabid today as they ever were. As a gift to the “X-Philes” out there, Titan Comics has put together a collection of articles, interviews, and behind the scenes glimpses into one of television’s greatest ground-breaking achievements, all wrapped up in one volume of creepy awesome goodness. If you were on the bandwagon back in the beginning, or if you’ve caught onto the series in syndication or on Netflix, here’s a great way to catch up on the good days, or spot things you might have missed. For everyone who was cleared their schedule every Sunday night, who set the VCR (that’s an ancient recording device that old people had to use back before the invention of DVR, kids), or crushed on either David Duchovny or Gillian Anderson, Titan’s X-Files volume 1: The Agents, The Bureau, and the Syndicate is a feast of epic proportions.